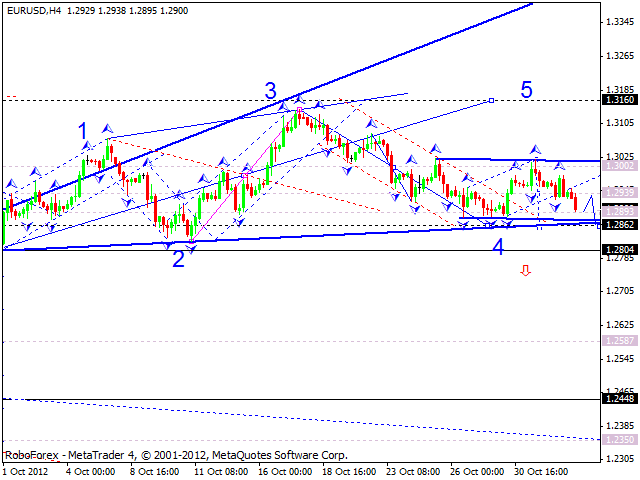 The EUR/USD currency pair is forming the fifth wave, the price is moving towards a local target of this wave. Later we can expect the pair to return to the level of 1.2938, test it from below, and then continue moving downwards towards the target at 1.2870. 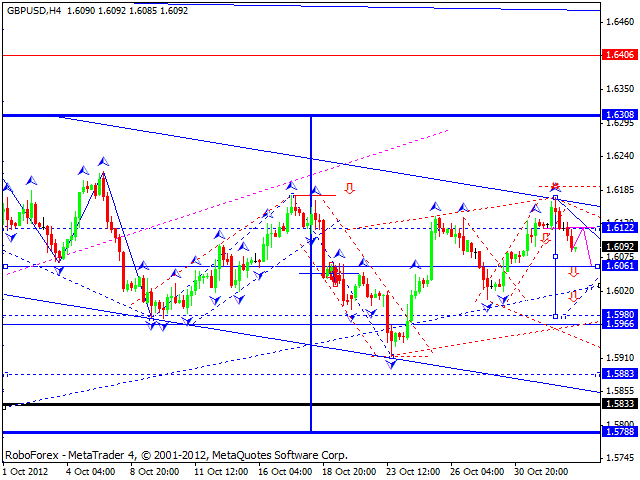 The GBP/USD currency pair completed an ascending wave and formed a pivot pint, as it was expected. 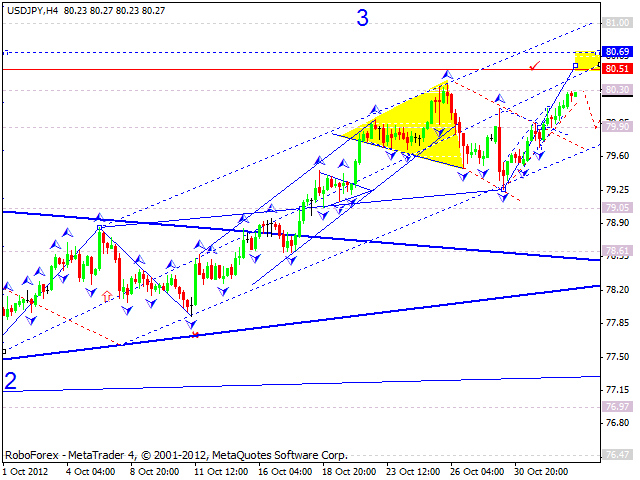 Right now the price is starting the first wave of a new descending structure with the target at 1.6061. Later we can expect the pair to consolidate a bit and continue falling down. A predicted target is at 1.6000. 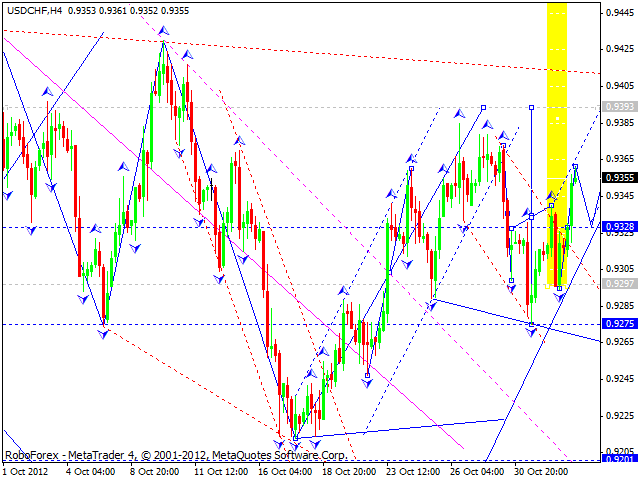 The USD/CHF currency pair is forming the fifth ascending wave, the price reached a local target of this wave. Later we can expect the pair to return to the level of 0.9328, test it from above, and then continue moving upwards towards the target at 0.9400. The USD/JPY currency pair continues growing up without any corrections, the pair is moving inside an hourly ascending channel. One of the scenarios implies that the price may reach the target at the level of 80.50 (at least) without any serious corrections. However, the other scenario suggests that the pair may start a slight correction, test the level of 79.90 from above, and then continue growing up towards the main target. 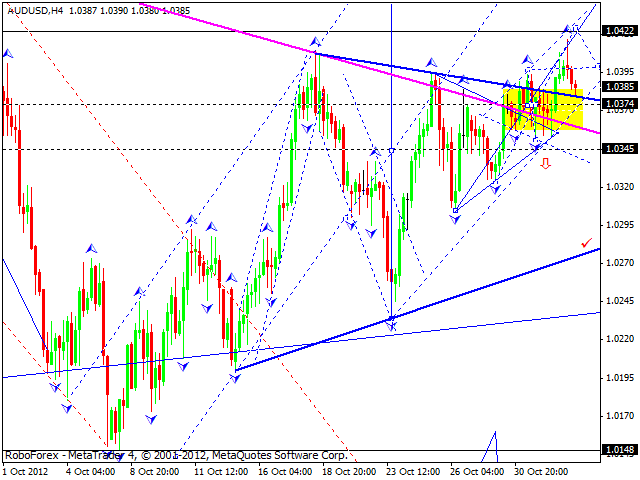 Australian Dollar continues moving near “triangle’s” upper border. Today the price is expected to test the level of 1.0374 from above and then continue growing up towards the first target at 1.0420. Gold reached the target of the growth. As it was expected, the market started forming the fifth descending wave. 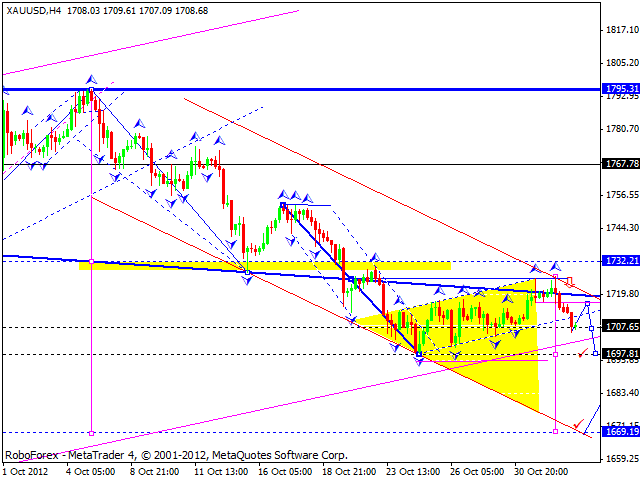 Today we can see that the price broke a consolidation channel downwards and the channel of the correction as well. The target of the first part is at 1697. Later we can expect the instrument to start one more correction and then continue moving downwards. The target of this wave is at 1670.